North American esports organisation FaZe Clan has received investment from professional basketball player Meyers Leonard. 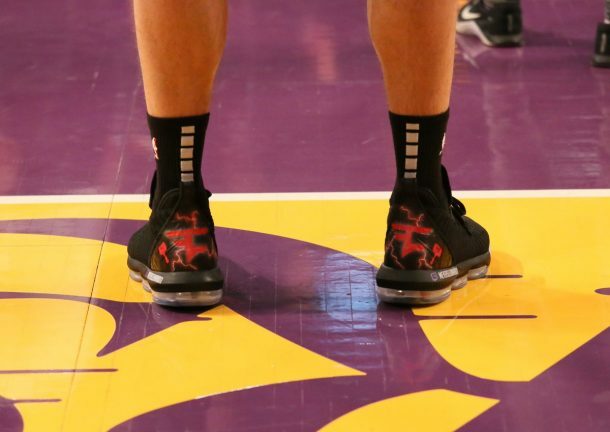 Leonard currently competes for NBA side Portland Trail Blazers and showed off custom, FaZe Clan-branded trainers during a match earlier in April. The NBA star has been seen livestreaming on Twitch and revealed through Reddit that he will be creating content with FaZe Clan later in 2019. He also explained that he became interested in the organisation after watching Turner ‘Tfue’ Tenney, Brendan “Jaomock” O’Brien, and Dennis “Cloakzy” Lepore play Fortnite. Leonard announced the investment on LinkedIn: “It is with great pleasure and excitement that I officially announce my investment into FaZe Clan! For anybody that knows me, you know I am an obsessive gamer. FaZe Clan is the premiere organization in esports with a social following larger than the entire Overwatch League. FaZe has taken the gaming world by storm, helping grow some of the largest gamers and content creators of our time. In the past month, FaZe Clan has entered partnerships with automobile giant Nissan and the gaming division of electronics company HTC. Popular rapper Miles Marks McCollum, known better as Lil Yachty, officially joined the organisation in December last year. Esports Insider says: It’s cool to see somebody new with a background in traditional sports get involved with esports in such a big way, especially since Leonard appears to have real interest in gaming, Twitch, and esports.